Another custom system built here at Precision Auto Stereo to not only look sick but sound beautiful. 1-JL Audio 600.4HD powers all of the MB Quart speakers while the HD750.1 powers the 10W7. 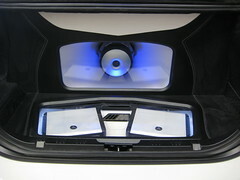 The enclosure is slot ported for an extreme amount of bass and ported straight through the rear seat so that no bass plays into the trunk. 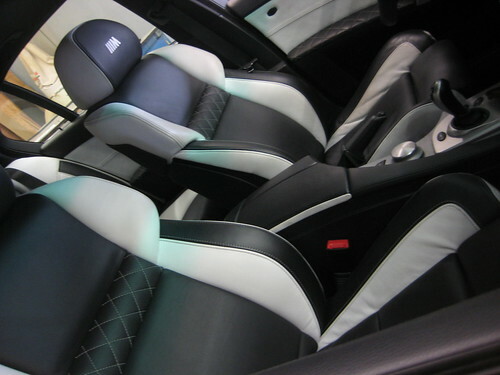 Everything was wrapped in black and white vinyl down the center and black suede on both ends all french stitched together to match the custom interior. Hello and thanks for the good words. Pricing can get a little tricky since there are so many options to what you can do. The best thing to do is to come in to our store so we can set a package for you. It’s much more simple that way. As far as interior we can handle that for you as well. How much for the same exact interior job, and approximately how long does it take? 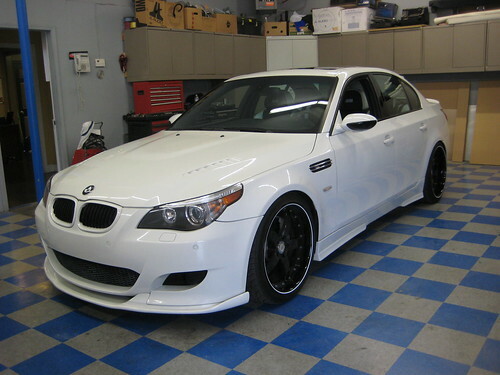 I have a 2008 M5 in case it matters. Hey Jay, Thanks for your interest! Things like this can be hard to quote, do to all the variations that are possible. The best thing to do is to bring the car by and we can talk about all the different options in order to get a realistic quote going.